K J Stoneman & Co Ltd.
K J Stoneman & Co Ltd, your one stop shop for Agricultural Machinery, Garden Machinery & Quads. We Supply New and used machinery for many major brands as well as extensive parts and workshop facilities. Our Parts department houses everything from nuts & bolts & hydraulic hoses to tractor parts & lawnmower blades. We are main dealers for Kioti tractors, Suzuki Quads, Polaris Quads, Polaris Ranger UTV, Kioti Mechron Utility Vehicle, Mountfield and Stiga mowers and rideons, Husqvarna chainsaws and brushcutters, JF grass machinery and tub mixers. 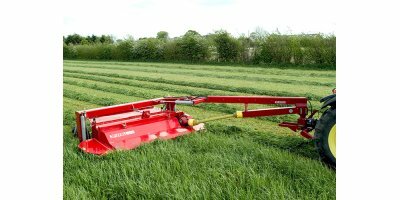 Maschio Power harrows and cultivation equipment. Twose equipment, Reco, Fella, Browns, Teagle, Bateson trailers, NC trailers, Richard Western trailers + many more. The site which is now K.J.Stoneman & Co Ltd had originally been a blacksmiths/hardware shop, last run by Mr Discumbe in 1940,s making drags & harrows. K.J. Stoneman & Co was established in the late 1940's on the site of the old forge, by Ken Stoneman selling David brown tractors, Active, Bamford and Viking combines and Welger balers. Bob Heard joined the company in 1959 at the age of 16 and took over the company in 1972 with his then business partner Peter Vallance. In 1983 we became Deutz Fahr tractor and Combine Dealer. in 1984, we became a Suzuki ATV dealer and we are now the oldest running Suzuki dealership in the UK. In 1986 Bobs son Jason joined the firm as an apprentice. In 2001 we became dealers for Polaris ATV's and UTV's. In 2008 became a Limited company with Jason Heard as Managing Director. Teagle, Twose, Browns and Ritchie. We are also Vapormatic stockists for non-gen tractor parts and have a successful garden Machinery Business. It is still very much a family run business. We can supply everything from a combine to a nut and bolt. Our established customer base is generally thoughout Devon & Cornwall, but we also have regular customers from the Faulkland Islands to the Outer Hebredies. We are one of the longest established agricultural equipment dealers in Devon. Whilst we have tried to ensure all our historical facts are accurate, we cannot guarantee that our sources are complete and correct.